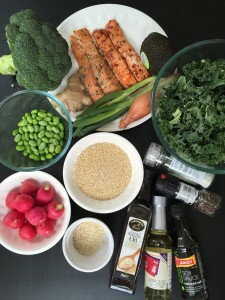 Yipee I am back home and excited to share another week of infatuating on a female foodie! While I was away in America of course I allowed myself the splurge time. But now that I am back in London and no longer traveling I can plan ahead. Therefore, I decided to make this Woman Crush Wednesday not only a good one, but also a ‘good for you’ one! However, you know me, I like to eat, and enjoy my tasty food! So this is where our gorgeous gourmet gal Gizzie Erskine comes to the rescue! 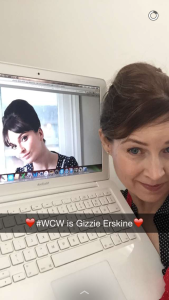 Gizzie is a well known British chef, cookery book writer, and television personality. After training at Leith’s School of Food and Wine she was featured in shows such as Taste and Cook Yourself Thin. So she knows a thing or two about getting on the straight and narrow. But like me she has a healthy appetite. Not to mention she wrote a book called Healthy Appetite: Foods to Nourish Body and Feed the Soul. Okay, now we are talking! 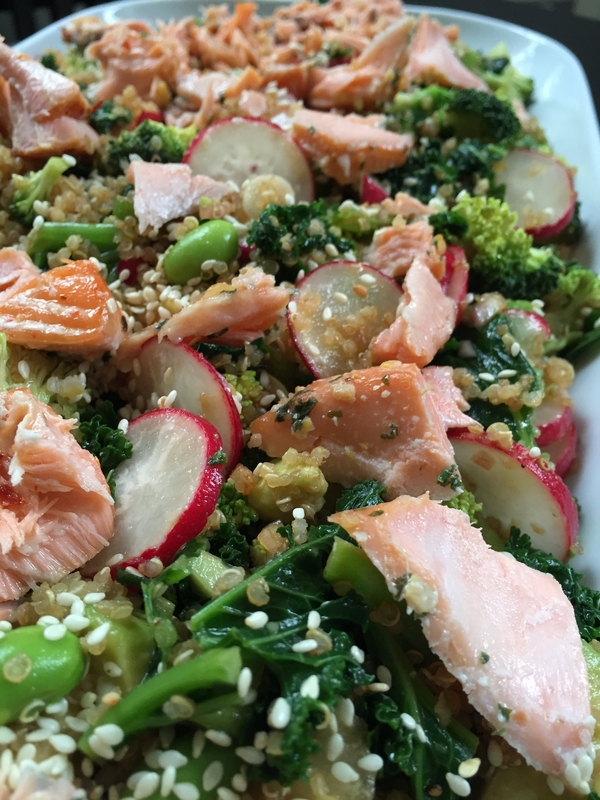 This leads us to Gizzie’s amazing and satisfying recipe for a Super Food Salad! That way, we can feel nurtured and not neglected when we work our way through the gorgeous colors on the plate to a full tummy. Pop the quinoa in a dry frying pan and toast over a medium heat, keeping the quinoa moving the whole time, until it’s lightly golden and nutty. Transfer to a small saucepan and add a good pinch of salt and the water. Cover, bring to the boil and cook for 10 minutes. Remove from the heat and, keeping the lid on, let the quinoa steam for 5 minutes to soak up the remaining liquid and get fluffy. To make the dressing, place all the ingredients in a clean jam jar and season with salt and pepper. Screw the lid on tightly and shake it like crazy. Drain the kale and dry it on kitchen paper, then roughly chop. Place the kale in a large salad bowl along with the edamame beans, broccoli, avocado, spring onions, radishes and quinoa. Dress with two-thirds of the salad dressing, give a swift mix so as not to let the avocado break up too much, then plate up between 4 plates. 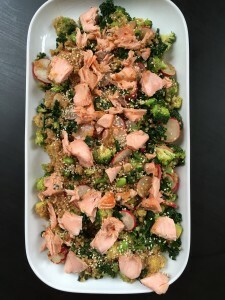 Top with the salmon and the remaining dressing and finish with a scattering of the sesame seeds. So, is food bound up with love for her? “Yes – I always associated cooking with love. It’s so emotive.” No wonder she’s not so keen on #cleaneating: it’s hard to express a lot of love through cucumber sticks. Awesome that she equates cooking with LOVE! My kind of person! 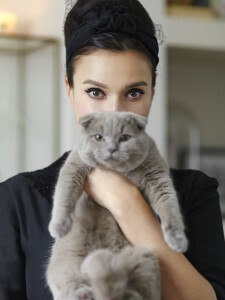 Her soft side is just as adorable as her cats Ponzu and Kimchi! And apparently she feeds them quite well! Even caviar according to this article in the Daily Mail! 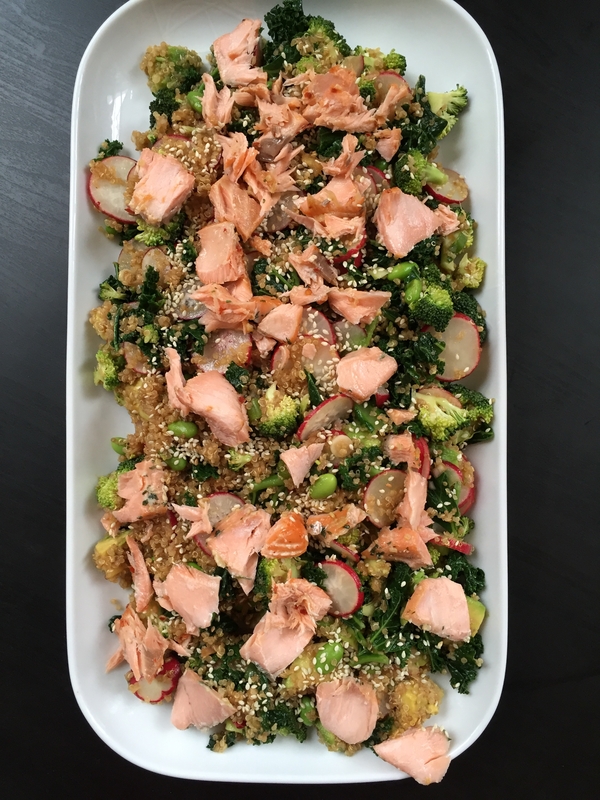 Well, we will certainly be well fed with this salad today, and likely tomorrow too. As this is not a typical mixed leaf salad that goes all wilted once you put on the dressing. With all the bits and pieces of tasty goodness and all the flavors and textures, it will hold up quite well indeed! Thanks Gizzie for being such an inspiration to so many. On the day after International Woman’s Day I can say I am delighted to have you as a #WCW and look forward to many more years of your fabulous recipes! P.S. 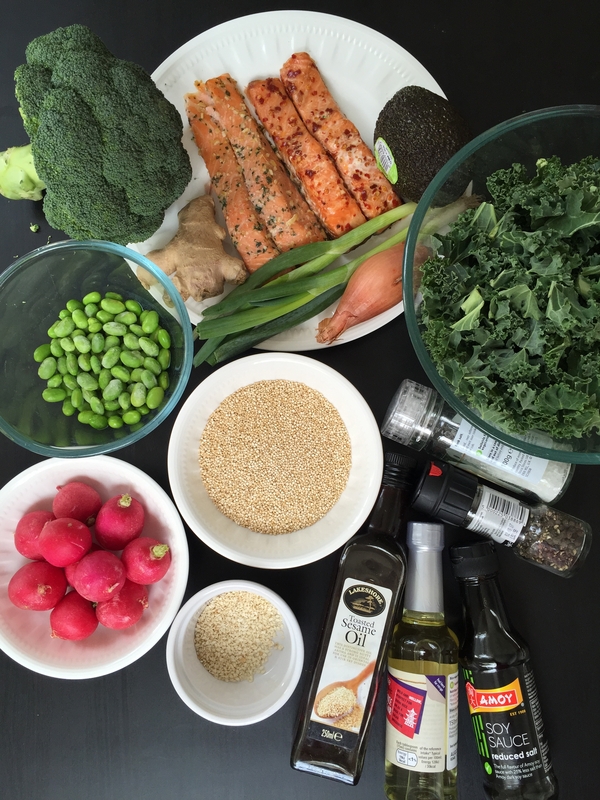 As per usual I’ve done a cooking tutorial with our Woman Crush Wednesday recipe. 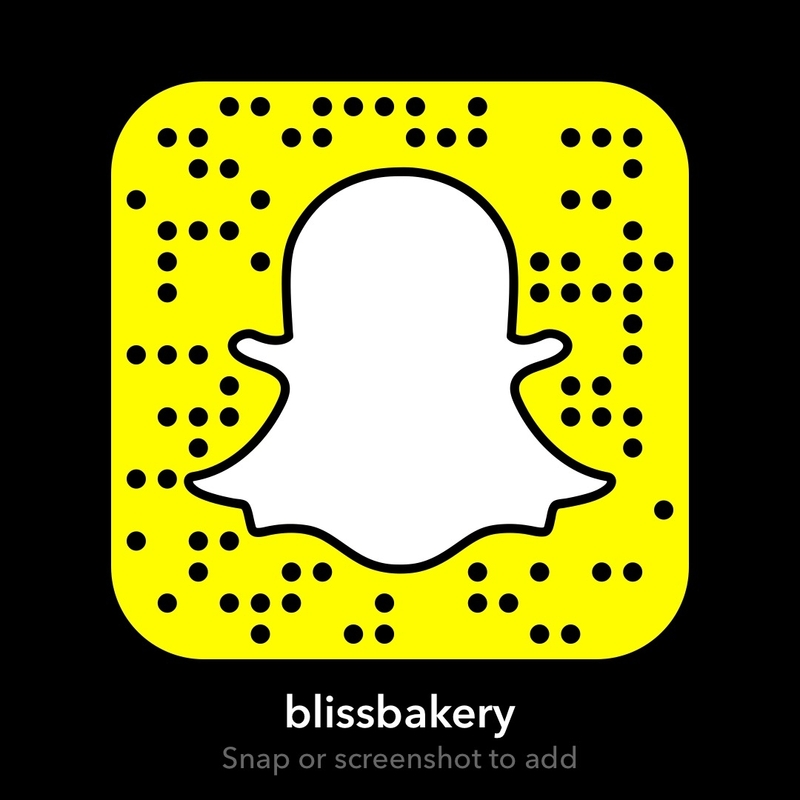 My username is: blissbakery. I had some bugs in my snapchat app but I didn’t let that stop me! Though it did take a bit longer to post. But if you like some 60’s music (accompanied by some bad singing and bad dancing by moi) than come check it out. Come to think of it, maybe that’s why it took so long to post. Poor Snapchat’s ears can’t take it! LOL! Next > Foodie Fieldtrip Friday becomes a Saturday Surprise!